“We pretty much doubled in size, and suddenly we needed larger space for machinery, packaging and ingredients,” says Curtin, whose Eclat Chocolate factory store is located on South High Street in West Chester, PA.
That’s when another business referred him to Seedcopa, which specializes in financing for growing businesses. With their support, he was able to get a $559,000 loan at a lower interest rate to purchase a 4,500-square-foot building behind Henderson High School. The facility is operational right now and will be fully outfitted by this spring. “We were able to find an affordable solution to grow, and the process was much simpler and quicker than I imagined” says Curtin, who also says he’s also benefitting from the network of local businesses that work with Seedcopa. He points to growing sales of Eclat’s corporate gift boxes. Local businesses are submitting their orders now for customized packaging in time for the holidays and corporate events. “It’s a wonderful way to show appreciation for clients and employees,” says Curtin, whose chocolates have been called the “Best in America” by Bon Appetit Magazine. 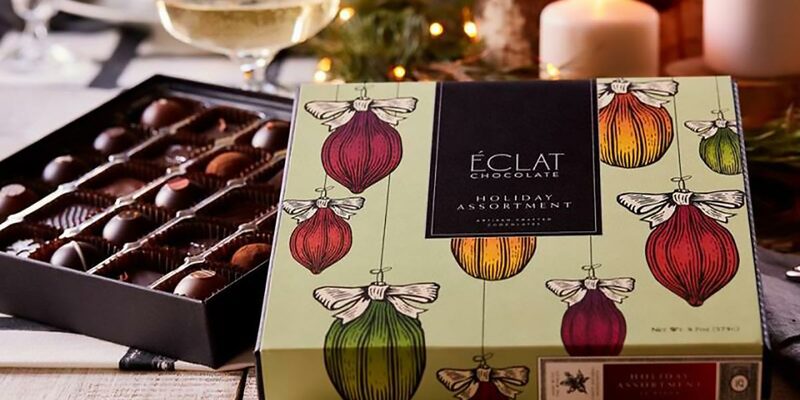 To learn more about Eclat Chocolate and its recipes honed from the finest chocolate houses of Belgium, France, Germany, Switzerland, Spain and Japan, click here.